RUSH: We're gonna start in Salt Lake City, Utah, with Tommy. Thank you, sir, for waiting, and hello. CALLER: My pleasure, Rush. It's great to be on with you. Mega dittos for the 25 years I've been listening to you. CALLER: Today's my birthday, so anything else that happens is gonna pale to being on your show. My question is: How many of President Trump's policies did not get implemented because so many Democrats, of course, but also Republicans bought into this hoax and wouldn't get behind him, wouldn't support him, wouldn't fight for those policies? RUSH: That is another good question, but there's something you said in there that... I'm still going back and forth on with the media. The media is made up of enough stupid people -- and by "stupid," I mean genuinely uneducated. They're sponges. They're propagandized. But I wonder how many people really believed this. Like, nobody will convince me that Comey really thought Trump colluded. These people in the FBI knew it didn't happen. That's why they were trying to put spies in the campaign. They knew it didn't happen. That's why they had to create the dossier. It didn't happen! So I may be, you know, picking a little nit here with you on the fact that they believe it caused all kinds... I think it's worse. I think they knew there wasn't any of this and still they did this! But your question actually is good. If you think Trump is a short time or you think he's not gonna be around, if you're a Republican and you think this has all happened -- or you think even if it didn't happen, they're gonna succeed in get rid of Trump -- how much are you gonna let him do, how much are you gonna let him accomplish? I think it's a great question. That means we're gonna have two Trump presidencies here in the first term. We're gonna have during Mueller and post-Mueller -- and if you've noticed, Trump is not tweeting a lot on this. Why do you think that is? CALLER: I have no idea. RUSH: Because he's gonna focus like a laser on policy now. He's gonna focus like a laser on getting things done, moving his agenda forward in 2020. This is where it ought to be in the rearview mirror. The stragglers at CNN, New York Times, Washington Post are gonna try to keep it alive on the obstruction angle. But Trump has said what he had to say about this, I think. There are a lot of people on Twitter disappointed Trump is not tweeting, nyah-nyah-nyah-nyah-nyahs. But I think it's because Trump wants to focus now on substance and moving the policy, the agenda forward, the things he was elected to do. He'll try to see a new focus out of the White House. Don't forget how many people in the White House might have believed this! How much discord or low morale has there been in the White House because all this? Even though Mueller didn't find any collusion, he had amazing success. He and his buddies in the administrative state had amazing success at bringing about some form of paralysis in the Trump administration. That's why, folks, I have been livid about this since it began. I don't feel at all celebratory because I don't feel like we need to applaud members of a coup who failed. I just don't feel like (clapping), "Way to go, Mueller! Thank you for your report!" I'm sorry. I just don't feel that way because I don't think this is what Mueller wanted or anybody else on his team. And you look at how they've been resigning from the Mueller investigation in the past month to six weeks without leaking any devastating stuff. I mean, the handwriting has been on the wall for a long time that Mueller didn't have anything. And yet the media kept lying, the media kept making things up, the media kept hoping, the media kept raising expectations, the media kept salivating -- and they got nothing. They've got nothing. They're not even happy that the president of the United States is not a traitor. I appreciate the call out there, Tommy. This is John in San Diego. You're next. I'm glad you waited, and hello. CALLER: Thanks, Rush. You talked about the average American, and I'm telling you right now, what the average American wants is justice. We play by the rules, we pay our taxes -- and if we don't, we get stepped on. 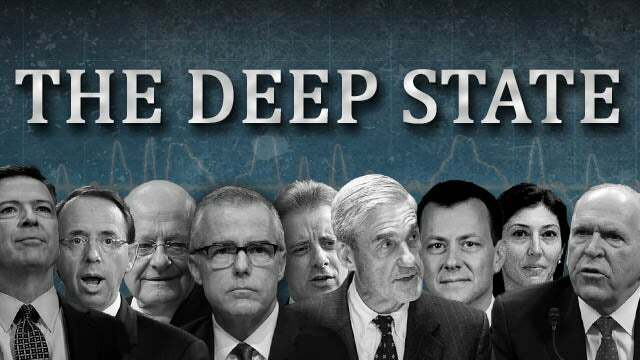 And right now, I want to know if these guys that perpetrated this whole coup, silent coup and this hoax -- the Clappers and the Brennans, et cetera -- are gonna get perp walked. You know, that's what we want. We go to work and we play by the rules. And you talk about exoneration? Trump's gonna get exonerated in November of 2020. That's our job. That's politics. We the people are, you know, pretty bitter about it. We don't have time to go protest and do stupid stuff. That's pretty much, you know, all I had to say on that whole subject. RUSH: I think there needs to be -- and I hate this, by the way. I mean, I hate it. Well, I don't hate it, but when I hear people say, "We need a special counsel to investigate." You know, all that is is a two-year delay. But we, apparently, do. Lindsey Graham had a presser today about an hour before the program began, and he pretty much indicated that he's gonna seek answers for all these questions that would he have been asking here today. (sigh) Still, it's all gonna happen within the boundaries of the administrative state. I think... (chuckling) I wish Trump would pardon everybody. I wish he would release everything and then shut down the border. I wish he'd do a Rose Garden presser this afternoon where he declassifies everything. Let everybody see what didn't exist to get this whole hoax started and how they had to manufacture it. And then pardon everybody from Manafort to Stone to whoever the hell us, Flynn, you name it, pardon everybody that has paid a price for having had to be interviewed by this special counsel and his team and then announce that he's shutting the border. If you ask me, that would be the way to start moving the balance of this first-term presidency along. Thank you very much out there, John. Appreciate it. “You better! You better let Mueller finish the job, you better not stop Mueller.” Because they all know that Mueller was gonna get rid of Trump, right? All of these Democrats swearing day in and day out they would accept the Mueller report. They demanded that we accept it. Do you remember during the campaign the last presidential debate, "Mr. Trump, do you promise, do you swear to accept the election results?" For the next two weeks: “Donald Trump promised he would not accept the election results. Donald Trump biggest threat to our democracy ever. Donald Trump has no business running for --" blah, blah. Now look. They refuse to accept the results of the election. Now they're saying Mueller -- you know, how long's it gonna be, somebody's gonna do this, some of these loco weeds like Swalwell or Pencil Neck who, by the way, continues to embarrass himself. He's still out there saying that he's got evidence of Trump-Russia collusion, Pencil Neck. How long is it gonna be before one of these madcap Democrats or cable news hosts alleges that the Russians got to Mueller? You know damn well that one of them is gonna come up with this! (interruption) What? It already did? (interruption) Are you kidding, it was somebody at MSNBC? I never watch. 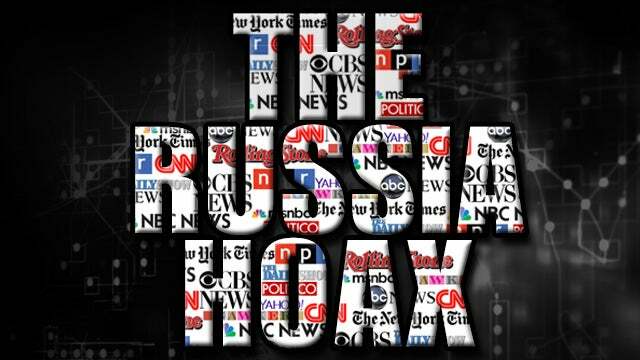 MSNBC, somebody there has always speculated the Russians got them -- aw, damn it. I thought I had an original thought there. I thought this was a whole show of original thought. Okay. Well, so much for that. Let's go back to the phones while we have time. This is Jay in Columbia, South Carolina. Great to have you, sir. RUSH: Doing great. Thank you. CALLER: Good. I think Mueller and Rosenstein got scared. I think the evidence was mounting against them, the fake dossier, Comey's leaking notes to get the special counsel appointed, Rosenstein lying to the FISA court. The sedition wasn't going as planned, and their lies and their leaks were catching up to them. I think that their deception was starting to backfire on 'em and it was getting out of control, so they cut their losses and bailed. And I want to say, do not be fooled by the media's fake shock and surprise and outrage. They knew it was a fraud investigation from the get-go, and many of them were active participants in the sedition. RUSH: Well, that is true. But some of them I think did believe it after a time. I think like anything else, if you're exposed to something long enough and you report it long enough, even though you know it's bogus, your own mind can sometimes make you start believing. But you're right. The number of people in on this would stun the people of this country. Now, don't hang up. You got an interesting theory here. You think these guys were eventually gonna issue a report alleging collusion, but then they had to change their minds because all of this was catching up with 'em so they had to shut it down? CALLER: Yeah. Mueller was deep involved in the uranium deal with Hillary Clinton back in 2009. RUSH: You mean letting it happen? RUSH: Not profiting from it, but letting it happen? RUSH: Well, wouldn't that be great, Robert Mueller helping Russia get hold of American uranium with the assistance of the Clintons. I hadn't heard that. RUSH: Still, you've got a good point. Because I -- and I want to remind all of you of this. I really don't mean to sound like I told you so. Just there's a lot out there today and I'm trying to get everybody not to follow the crowd or the conventional wisdom. There is no reason to applaud Mueller. There is no reason to thank these people who ran this coup for failing. Because they haven't given up. I understand the desire to celebrate them failing, but this idea of thanking Mueller for his work, don't go there. This is hideous what these people perpetrated here, and they do not deserve our applause. 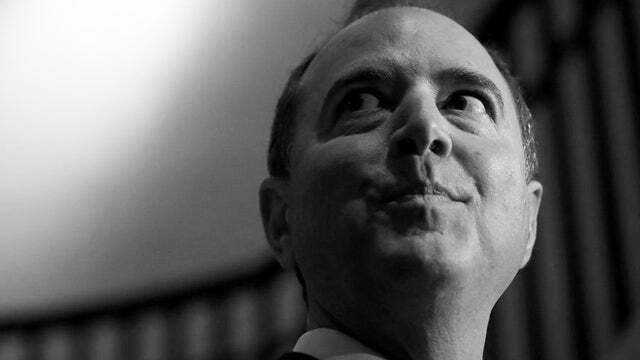 I think that one of the reasons this investigation was started, the Mueller special counsel investigation, one of the reasons it was started and one of the reasons it went so long was to distract and cover up the real collusion and conspiracy and criminality from the Obama people, the Hillary people, the Steele dossier, the Russians and all of it.